Raised in Philadelphia and based in Washington DC (USA), ZENBI has arrived as a permanent fixture among the house music scene’s international elite. With newly-minted residencies at several of the hottest dance clubs in the world and a string of chart topping releases on some of dance music’s most prestigious labels including Great Stuff, Hotfingers, 303 Lovers, Pacha, Stereo, Skint, InStereo Recordings, and Twisted among others, Zenbi continues to work hard to refine and perfect his soulful, tribal-infused sound. 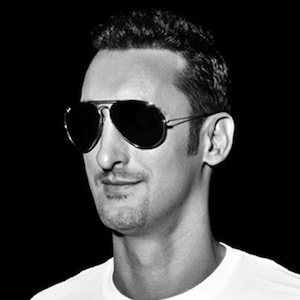 From the studio, Zenbi’s productions have been successfully featured on over 100 releases – receiving massive support from an ever-increasing list of talented producers including Moby, Fatboy Slim, Mark Knight, Marco Carola, Stefano Noferini, Roger Sanchez, Chus, Umek, Danny Tenaglia, Wally Lopez, David Herrero, Erick Morillo, Dubfire, Paco Osuna, David Penn, Satoshi Tomiie, and UNER – to complement his success as a top-selling tech house, house, and techno artist. As a DJ, Zenbi tries to maintain a consistency to his sets that matches his production work, by combining a variety of influences and styles – deep, soulful, gritty, and a quality he describes unabashedly as ‘chuggy’. “From behind the booth, my job is to work the crowd – to take them on a journey that matches the vibe and mood of the room,” explains Zenbi. “I’m blessed to be able to be selfish in the studio – which is my primary vehicle for self-expression. From behind the booth, that selfishness goes out the window – I rely on my experience, emotion, and equally as important my vision to let a crowd help me get them where we want to go together.” On the road, ZENBI has packed crowds from Boston to Budapest, Milan to Miami, and performed at major dance music festivals including BPM, Miami Music Week, Winter Music Conference, Groove Cruise, SodaPop Milano, and ADE (Amsterdam Dance Event).